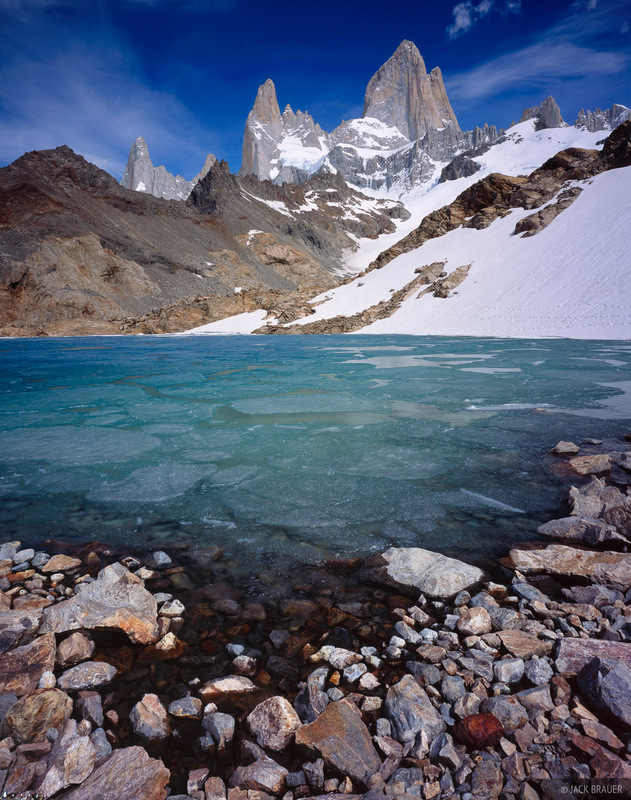 Partially frozen turquoise waters of Laguna de los Tres, with Chaltén (Monte Fitz Roy) and Cerro Poincenot towering above. Parque Nacional los Glaciares, Argentina - November. Photo © copyright by Jack Brauer.